First is the Veiled Woman. This marble sculpture stops me in my tracks every time. I look closely at it from all angles and the skill of the carver leaves me breathless. It's all marble - every bit of it, and it's a single piece, and at an angle, you see the translucent veil but not the eyes - those only come clear when you look straight at it. It is, pure and simply, magnificent. 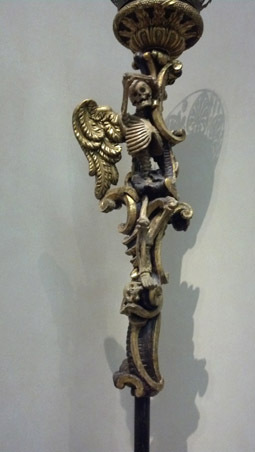 This is made from brass and iron - truly stunning, if a bit macabre. 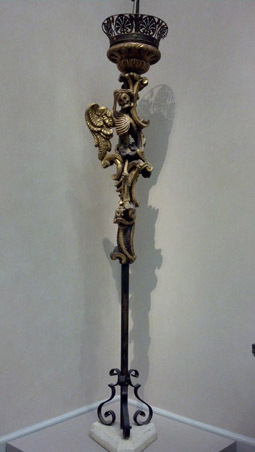 Going from the sublime to the ridiculous, I offer this wonderful funerary floor lamp. After all, whose home wouldn't be complete without their own funerary items. The decoration on this large item is what pulls me to it time and time again. This was made in the days before death was closed behind glass walls and electronic equipment. This was made when people walked with Death walking next to them. Death was a familiar companion, not a best friend, but understood and accepted as a part of life. Certainly food for thought. deeper, they'll surprise you with their depth. And finally, a study in perspective and vision - The Queen. 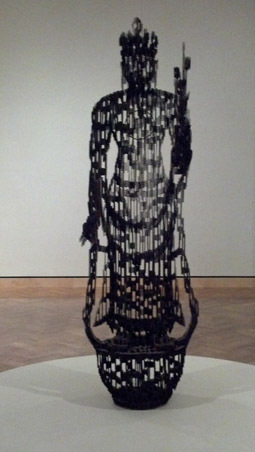 When you look at this sculpture face on it looks like it is made from wire frame, soldered, wrapped and manipulated to give the regular patterning. A lot of work and a heavy item that required the sacrifice of much copper. But...then you walk around her and realize the truth in the packaging. She is made from carefully cut and positioned recycled corrugated cardboard that has been cut to allow the v's of the corrugation to show through at exact angles, giving you the fabulous frontal view. I applaud this artist. What incredible vision. So there you have it - some beauty to start your Thursday off right! Current Location: Trying to fight my computer - I'm losing the fight. That marble sculpture.... how do they do it? I'm astounded at how stone can be made to look like fabric. This one is especially amazing. She is amazing and I always am struck dumb whenever I get close to her. The skill floors me! You've done well, bringing a bit of the museum to LJ. Thank you! Oh, DH and I love her as much as you do. I love the various sculptures, but she is a special love to me also. Did you know that a lot of their collection is available to view on-line now? The marble sculpture is amazing. I bow before the sculptor. Even in clay I wouldn't be able to do this level of skill. For that matter, even in paint it's tough. It is a totally phenomenal piece. The veiled woman made me stare and say "woooooow" even like this - a small, dull (is that the right word?) photo - so I can imagine that it would truly take my breath away if I saw it in reality. And I can totally understand your fascination with the veiled lady piece. 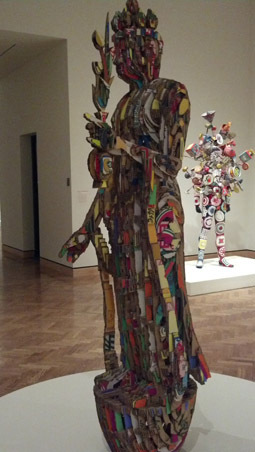 We have a statue at the Crocker that I fell in love with decades ago. Can't recall her name now, but she's the blind slave girl that ran from Vesuvius. The fluidity of the clothing, her supple skin, her blind eyes and look of fear, panic and realization that death is touching her just grips me. Oh rats, got thinking about her and I had to go find her. I really loved these pieces and will share a few more tomorrow. 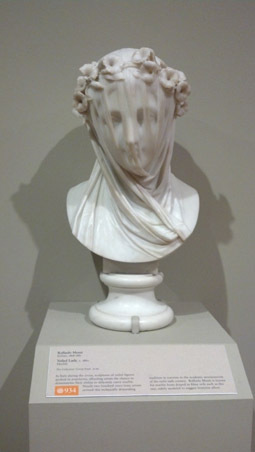 The veiled woman statue always stops me dead in my tracks - it's such an amazing piece. I really liked the statue that you linked to. Stunning work on the drapery. That veiled face is fantastic - and I am also very taken with the queen - thank you so much for showing them to us. The raw talent of these leaves me breathless.